Notable experts in urban agriculture, new farm financing, local food systems development, vegetable crop cultivation, food hubs and digital technology have been added to what’s shaping up to be a blockbuster slate of speakers for the Urban Ag-focused Grow Riverside: Citrus and Beyond! Conference, which will be held at the Riverside Convention Center on March 19 – 20, 2014 in partnership with the City and Community of Riverside. 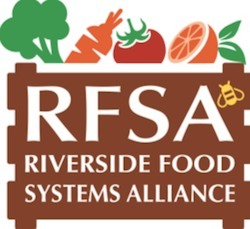 The conference will focus on the development of urban agriculture and local food system strategies and solutions that cities, Riverside in this particular case, can use to reconnect with their agricultural roots and create economic opportunities that investors, citizens, growers, government officials and other major stakeholders can leverage to foster a robust and sustainable local food future. Martin Anenberg, founder of So Cal Farm Network, started buying and selling locally grown produce in 2004. His first customer was a school district in Los Angeles County that ordered once a week for many of its elementary school’s salad bars. After growing his business to include restaurants and institutions, Martin joined forces with one of the major produce distributors in downtown Los Angeles. It was this experience where he gained first hand knowledge of how large scale agriculture and distribution worked. Martin’s mission is to develop a local produce supply chain that resembles the efficiency and positive aspects of mainstream agricultural distribution. By creating a one stop solution for wholesalers, restaurants, institutions, and CSA’s , businesses can focus on what they do best and easily purchase source-verified farm products. 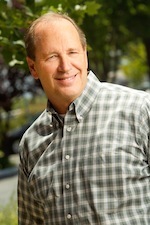 Don Webber, Partner, Cultivating Good, Inc. brings more than 20 years experience in both corporate and non-profit management, leadership and governance to the Cultivating Good team. He has applied his entrepreneurialism to start-up, local and national companies and non-profit organizations. 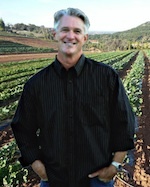 Don is currently a Board Member of Slow Food Temecula Valley. 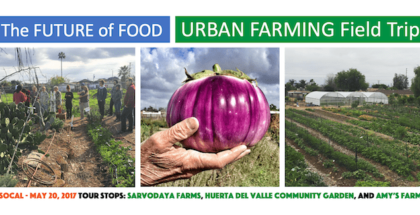 After creating Harvest 2U, a successful third party CSA (Community Supported Agriculture) delivering locally grown organic produce in Riverside and San Diego Counties, Don joined forces with E.A.T Marketplace to form Cultivating Good. The purpose of Cultivating Good is to promote awareness, foster education, improve health and create jobs in our communities through a focus on sustainable agriculture and the craft-food industry. Cultivating Good brings an entrepreneurial approach to managing and distributing good, clean, local food literally from the ground to the plate. 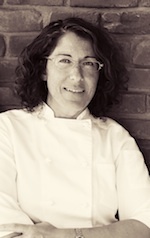 Leah Di Bernardo is the award-winning Chef of E.A.T Extraordinary Artisan Table, a locally grown Eatery in the Temecula Valley. Dedicated to providing farm foraged, hand crafted fair, since 2002. E.A.T’s business-mission statement champions purchasing local and supporting your neighbors, as this stimulates the region’s economy and creates conviviality, loyalty & community. Di Bernardo learned how important small farmers were at a young age while helping her dad on their Oregon farm. It was at this time that she truly fell in love with the art of scratch cooking and the idea that creating a wholesome meal does more than just feed the body – it feeds the soul. After more than 10 years as an accomplished producer in the film and television industry, Leah wanted to pass along these core values to her own daughter, Gabrielle Rose, who’s now 11 years old, and a food advocate in her own right! So with her sass, her creativity, her ever-present warmth and compassion, Leah now produces great food and phenomenal events- all this while championing, and fighting for small farmers rights and Artisan food producers growth! 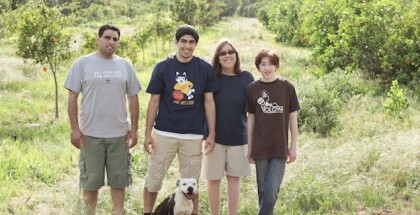 The Slow Food Movement is at the heart of everything Leah does. She is passionate about the world community of farmers as well as the local food movement and strives to keep traditions and family food heritage alive within all of this. “The food we eat affects how we think, feel and treat others. So eat good, clean food,” she regularly tells customers, family, and friends. Jenna Smith is the Executive Director of Central Coast Grown, a non-profit organization that works to develop a sustainable regional food system in San Luis Obispo County. 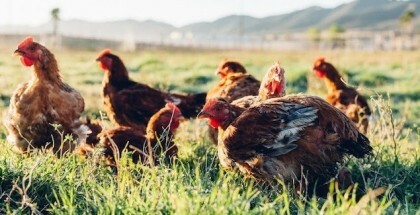 Over the last several years she has collaborated directly with the City of San Luis Obispo to bring a 20-acre, multi-enterprise educational farm into production. Currently she serves as the Chair for the San Luis Obispo County Food Systems Coalition and sits on the state-wide California Food Policy Council. Jenna holds a dual M.A. in Natural Resources and Sustainable Development from American University (Washington, D.C.) and the United Nations-Mandated University for Peace (Costa Rica). 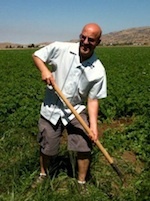 Milt McGiffen is UCR’s Extension Vegetable Specialist and Vice Chair for Extension. He grew up in the rolling farmland and forests of rural western Pennsylvania, earning his BS from Penn State and MS from NCSU. 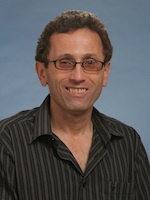 After graduating with his PhD from the University of Illinois, Milt worked as a Research Agronomist for the North Central Soil Conservation Laboratory before beginning his 22 years at UCR. He conducts applied research on crop production, weed management, organic agriculture, and the ecosystem services provided by agriculture. His extension program covers the full range of crop production issues, including training Master Gardener’s and pest control advisors. He has worked in Ukraine, Vietnam, Saudi Arabia, China, and several other countries as part of USAID and other programs for small farmers. Dr. McGiffen is particularly interested in bringing together urban dwellers and farmers to sustain agriculture, provide healthy local food, and maintain the environment. 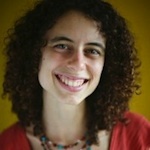 Erika Block is the Founder and CEO of Local Orbit, which provides sales and business management tools for the entrepreneurs & organizations building the New Food Economy. Local Orbit helps build profitable businesses and healthier communities. Curt Covington is a Managing Director and Area Manager for the Agribusiness Banking Division at San Francisco-based Bank of the West. Bank of the West ranks as the 3rd largest agricultural lender among commercial banks in the United States. With 34 years of agricultural banking experience, Curt is responsible for managing the growth and performance of the bank’s $1.5 billion regional agricultural loan portfolio. Prior to joining Bank of the West in 2006, Curt spent a good part of his early banking career in the Farm Credit system followed by a period as a credit administrator with Rabobank. He is the past chairman of the American Bankers Association Ag and Rural Bankers Committee in Washington DC and is the present chairman of the RMA Agricultural Bankers Committee. Curt serves as co-chair and manages two agricultural Lender programs: The Agricultural Lending Institute, a joint venture with California State University, Fresno, and, The Agricultural Banking Institute of the Americas, a joint venture with Universidad del Pacifico, in Peru. Daniel Allen is the CEO of Farmscape, an urban farming venture based in Los Angeles that has setup more than 350 gardens at homes, schools and restaurants and maintains 125 on a weekly basis. Dan is a Master Gardener and a member of the LA Food Policy Council’s Working Group on Urban Agriculture. He is also a periodic contributor to The Huffington Post and Seedstock.